In her new book, the Sunday Times and New York Times best-selling author of Damaged tells the story of the Dawn, a sweet and seemingly well-balanced girl whose outward appearance masks a traumatic childhood of suffering at the hands of the very people who should have cared for her. Dawn was the first girl Cathy Glass ever fostered. Sweet and seemingly well balanced girl, Dawn's outward appearance masked a traumatic childhood so awful, that even she could not remember it. Beth is a sweet-natured child who appears to have been well looked after. 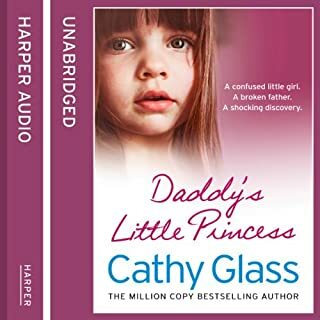 But it isn't long before Cathy begins to have concerns that the relationship between Beth and her father is not as it should be. Little Beth, aged 7, has been brought up by her father Derek after her mother left when she was a toddler. When Derek is suddenly admitted to hospital with psychiatric problems, Beth is taken into care and arrives at Cathy's. Aged nine Joss came home from school to discover her father's suicide. She's never got over it. This is the true story of Joss, 13 who is angry and out of control. At the age of nine, Joss finds her father's dead body. He has committed suicide. Then more recently her mother remarries and Joss bitterly resents her step-father who abuses her mentally and physically. 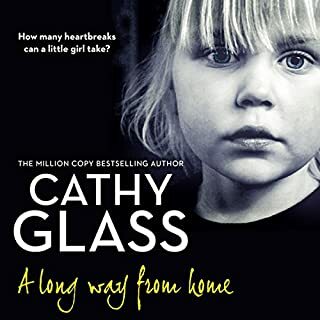 In her new book, Cathy Glass, the number one best-selling author of Damaged, tells the story of the Alice, a young and vulnerable girl who is desperate to return home to her mother. 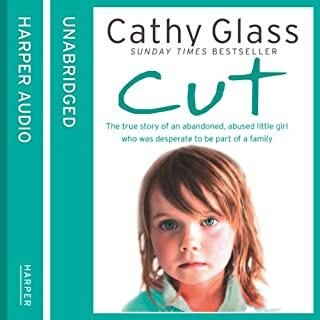 Alice, aged four, is snatched by her mother the day she is due to arrive at Cathy's house. Drug-dependent and mentally ill, but desperate to keep hold of her daughter, Alice's mother snatches her from her parents' house and disappears. What could cause a mother to believe that giving away her newborn baby is her only option? Cathy Glass is about to find out. From author of Sunday Times and New York Times bestseller Damaged comes a harrowing and moving memoir about tiny Harrison, left in Cathy's care, and the potentially fatal family secret of his beginnings. When Cathy is first asked to foster one-day old Harrison her only concern is if she will remember how to look after a baby. A new memoir from Sunday Times and New York Times best-selling author Cathy Glass. 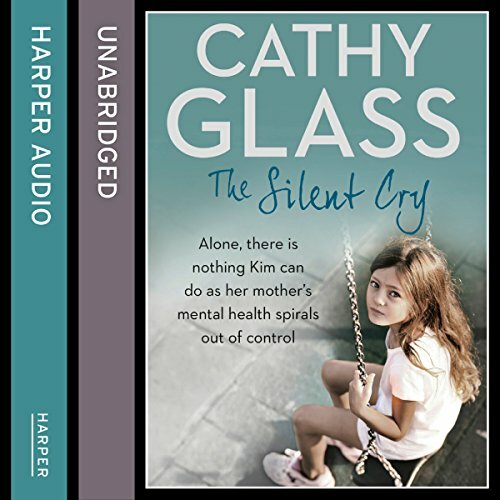 When Cathy receives a call about a terminally ill widower terrified of leaving his son all alone in the world, she is wracked with sadness and indecision. Can she risk exposing her own young children to a little boy on the brink of bereavement? Eight-year-old Michael is part of a family of two, but with his beloved father given only months to live and his mother having died when he was a toddler, he could soon become an orphan. An Impossible Decision is the true story of Faye, a wonderful young woman who may never be able to parent her unborn child. Faye is 24 and pregnant and has learning difficulties as a result of her mother's alcoholism. Faye is gentle, childlike and vulnerable and normally lives with her grandparents, both of whom have mobility problems. Cathy and her children welcome Faye into their home and hearts. Sunday Times and New York Times best-selling author Cathy Glass returns with her first novel. The Girl in the Mirror is a moving and gripping story of a young woman who tries to piece together her past and uncovers a dreadful family secret that has been buried and forgotten. When Mandy learns her much-loved Grandpa is dying, she is devastated and returns to the house where she spent so many wonderful summers as a child. But the childhood visits ended abruptly, and those happy days are now long gone. Horrible- the worst book I’ve heard, ever. The heartbreaking true story of a young, troubled mother who needed help. The 16th fostering memoir by Cathy Glass. It is the first time Laura has been out since the birth of her baby when Cathy sees her in the school playground. A joyful occasion, but Cathy has the feeling something is wrong. By the time she discovers what it is, it is too late. This is the true story of Laura, whose life touches Cathy's in a way she could never have foreseen. It is also the true stories of little Darrel, Samson and Hayley, whom she fosters when their parents need help. Some stories can have happy endings and others cannot, but as a foster carer Cathy can only do her best. Okay, but not as good as her first book. 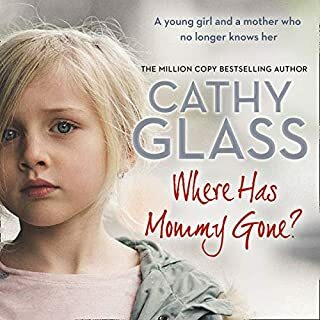 So far I have listened to three of Cathy Glass's books; I started with "Girl Alone" based on a recommendation and really liked it, so I decided to read her others in chronological order. So that meant I read "Cut" next, and then this one "The Silent Cry". 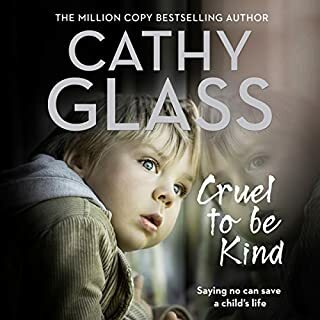 Unlike the other two books, Cathy never actually fosters a child for any period of time in this book -- instead she takes in some kids in "respite", meaning they are just in her care temporarily, such as a weekend. So you don't really get to know them very well, with the exception of Samson, who constantly misbehaves and stands out from the others. Instead the book mostly deals with a family down the street, and a mother (Laura) who is suffering severe postpartum depression. I just found this part of the book somewhat boring. But I can't really blame the author, she is writing down true stories and this is apparently what happened during this period. I will bestow praise to he narrator Denica Fairman (who does all of the Cathy Glass books); she is just amazing in how she is able to convincingly do voices for toddlers, preteens, teenagers and adult women and make them all unique. She also does a good enough job of adult male voices that it doesn't distract from the story. Cathy Glass has given us another excellent memoir! I love her books and can't start once I start! If you could sum up The Silent Cry in three words, what would they be? I love the way Cathy draws her readers into the story. She expresses herself in a way where the reader feels like he/she truly gets a glimpse into the characters in the book. Which character – as performed by Denica Fairman – was your favorite? I would have to say Sampson because he made me laugh and I could picture him so well. We never know what other people are going through so it is not our place to judge. I would highly recommend this book, it is a hard one to put down once you start reading. I love all Kathy Glass books, and this one is a little different from her normal stories, but I enjoyed this one too. A wonderful a wonderful story . loved it so interesting like all the books I've had of Cathy's it,s because they are all true story. I was a little disappointed with this book. I have read all of Cathy's books but this one didn't really grip me like the others did. I would say this is not worth the price. Such an inspiring story. Several tears have fallen whilst listening! I will be checking the website for follow-ups of the children! I normally love her books, but this one just seemed all over the place, and bulked out by irrelevant details like what they had for dinner, or her daughters way of phrasing things. Maybe it’s her later books that I enjoy more, they seem to be more structured. I think Cathy Glass is an amazing woman and have read 10+ of her books! This is no exception and was another emotive tale of the children and families she has supported. Great book, as are all Cathy Glass books. This took me a day to listen to. this was an OK story but I did not enjoy it as much of her other books, this was about several people,so alot of going to then to another. 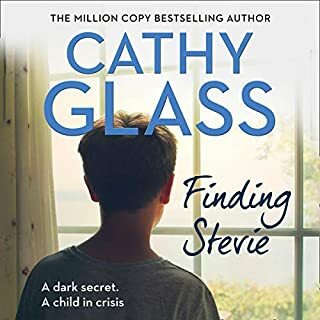 I liked the fact that this book dealt with the stories of various children and it was nice to get an insight into Cathy's life when her children, Adrian and Paula, were very young. I really liked the update at the end of the book, but felt for Cathy and her family that John wasn't around much. She and her family, as well as the children she fosters, are very strong and courageous. This book deserved 5 stars as her novels are always a joy to listen to. She writes from the heart. been a great help raising my own 3 kids.